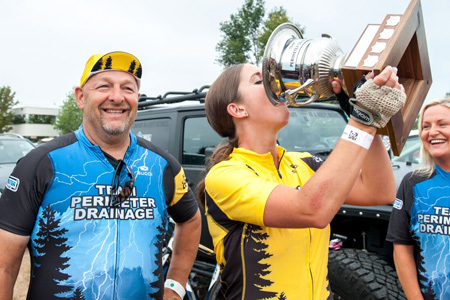 This is year four of Team Perimeter Drainage and the Ride to Conquer Cancer. To date we have raised $365,000 thru generous donations from individuals, corporate sponsors and business associates. 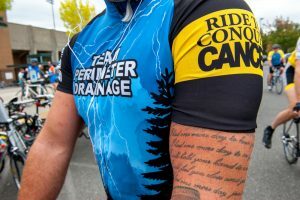 British Columbia’s instalment of 2016 Ride to Conquer Cancer is coming up on August 27th and 28th, and we’ve been telling stories from some of the members of Team Perimeter for the past few weeks as we prepare for the race. 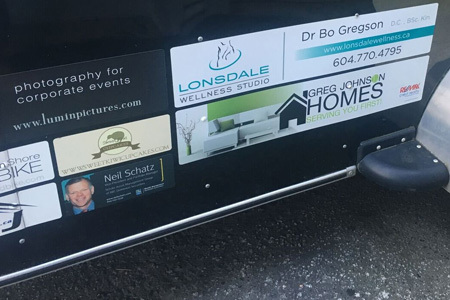 In fact, we even held a party and silent auction at The Narrows pub in North Vancouver awhile back to raise some funds and kickstart everybody’s training routines. Now, I don’t know if everyone followed through on their bold proclamations to start riding for an hour every day, but it’s the thought that counts. In fact, it’s the thoughts of thousands of people that counts for so much – people who have made this epic ride the home base for cancer sufferers, survivors, and all their loved ones year after year. Cancer has touched my family, but I’ve still learned a lot about the Ride over the past couple months talking with Chris and his team. That’s straight from the Ride to Conquer Cancer’s website, and demonstrates just how important the fundraising power of the event really is. From research to drug trials to enhancements in care, dollars raised by Ride participants go directly toward minimizing the impact of the disease. For many people taking part in the Ride, however, the money raised is secondary. Of course we’re trying to solve this puzzle in our lifetime, but the journey, both physical and mental, is what leaves us with the strongest lasting impact. It’s the dedication to a loved one, either still here or not, that gets the riders through the rain and wind we experienced in 2015. It’s the strength demonstrated by sufferers that inspires us to start, and finish, this journey, this battle against fatigue and pain in the, uh, posterior. Technically speaking, BC’s Ride is a 250km trek from Vancouver to Seattle. 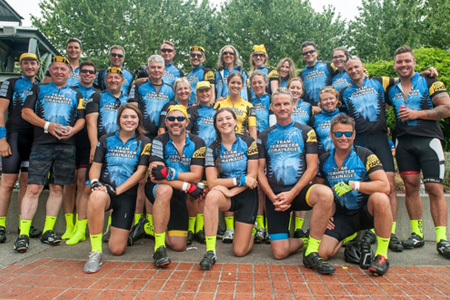 Chris Gray’s team of participants would probably be tight without the Ride to Conquer Cancer, but it’s the profound effect of the fundraising effort and the eventual struggle of the Ride itself that unites this group more than a casual friendship ever could. From the team members I’ve spoken with it’s clear the support, encouragement, and dedication shown by each individual is the driving force that keeps the pedals turning over and over themselves for the entire crew. “There’s nothing like it,” Bryant Magee told me. As I write this post, Team Perimeter for 2017 has raised nearly $9,000 dollars for the Ride To Conquer Cancer and $385,000 to date. That’s 385K devoted to finding the cure for this disease, a disease Bryant Magee called “our generation’s to cure.” It’s a lofty goal, but an important one, right? Right, understatement of the century. Cancer impacts everyone. We all know someone who’s been touched by it or we’ve had a loved one who’s fought it. Some win that battle, other eventually lose, but it’s the impact of their strength that stays with us for a lifetime. It’s all we can do to give a little of that impact back. The Ride to Conquer Cancer Presented by Silver Wheaton benefiting BC Cancer Foundation is an epic cycling journey through Canada’s Pacific region. Proceeds will support leading-edge cancer research at the BC Cancer Agency that has a direct impact in improving cancer care across the province.